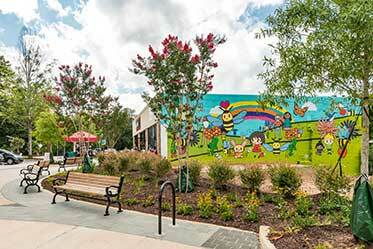 Explore below for Winnona Park homes for sale & neighborhoods in Atlanta GA. There are a few neighborhoods in Atlanta that really practice what they preach. In Winnona Park’s case, the allure comes in the form of quiet streets, dotted with English country-style homes on sprawling lawns. The result is an enclave that’s secluded, private, and steeped in history—just like it’s always been. For additional information about Winnona Park properties for sale in Atlanta or to schedule a private tour, contact your Winnona Park real estate experts today! Planning to buy or sell a home in Winnona Park? Contact The Keen Team at (404) 270-9374. Your neighborhood real estate agents will offer guidance to help you through the Winnona Park, Atlanta real estate market. 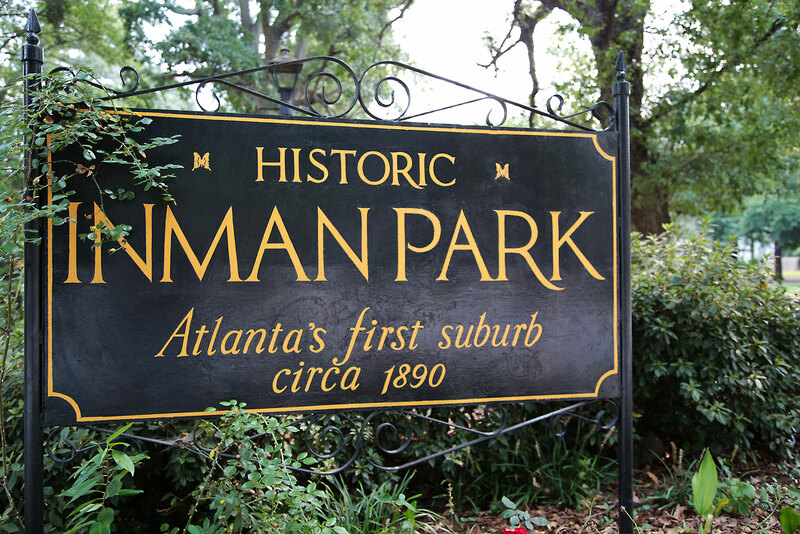 Only blocks away from the center of Decatur, the tiny neighborhood of Winnona Park may be one of Atlanta’s best-kept secrets. This cozy part of the city still enjoys the same benefits as neighboring villages like Oakhurst, with walkability, excellent schools, safe streets, and proximity to major thoroughfares, all part of the package. You won’t find a commercial center in Winnona Park—it’s just too small—though the neighborhood is bookended by Agnes Scott College and Columbia Theological Seminary, two of Atlanta’s oldest academic institutions. When homes do appear on the market, they’re usually snapped up pretty quickly. Younger families, looking for a life-long homestead, comprise a good portion of the population in these 700 homes. It’s for that reason that there’s an element of exclusivity to Winnona Park: when someone buys a house here, they tend to stick around for a while. Winnona Park is located just south of the Ponce Corridor, with its northern border along the much-quieter College Avenue. Memorial drive is a few blocks to the south. It’s about six miles to the east of Atlanta’s center, and a couple of miles due west of I-285. 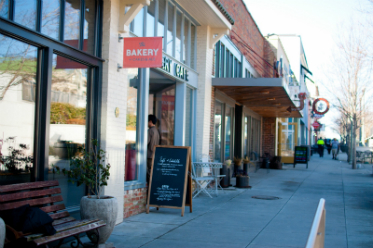 The neighborhood is small (smaller, even, than neighboring Oakhurst), but with a location directly southeast of Decatur, it affords access to the same amenities, schools, and public services as its neighbor. In addition, though Atlanta may be landlocked, water is never too far away if you know where to look. Shoal Creek may be small, but it cuts right through the center of Winona Park, and along the backyards of many of the homes here. Even though it’s technically a separate neighborhood, a lot of people will refer to Winnona Park as Decatur, just as some people from Decatur will say they live in Atlanta. So when you’re here, just go with the vernacular—people will know what you’re talking about. If you want to avoid the bustle of Decatur, the village of Oakhurst lies just to the west of Winnona Park. With an intimate downtown, it’s a fine, walkable spot to grab dinner without having to cross any major thoroughfares. Winnona Park certainly merits a self-guided driving tour (especially for home hunters). Much of the architecture is original to the area, dating back more than a century. Over time, however, savvy builders have come through to offer some modern takes on the Old World aesthetic. Winnona Park shares zoning with many of Decatur’s exceptional schools, and for many a family who has moved to this neighborhood, that element has been a factor in their decision to live here, all by itself. Here’s a list of Winnona Park’s schools, from pre-school to post-grad. College Avenue, on the north end of Winnona Park, is a convenient access point to the Ponce Corridor. Traffic can be a little thick on these main arteries during peak hours, but with some clever foresight, residents of Winnona Park have come to rely on a few quieter back roads to get in and out. The I-75/I-85 Connector is located about six miles to the west of Oakhurst, while I-285 lies about two miles to the east. The Avondale Estates MARTA station is located to the northeast of Winnona Park, and the Decatur station lies just to the north. They’re both close, less than 10 minutes by foot. Occupying a substantial footprint on the eastern end of Winnona Park, this Presbyterian seminary is one of the neighborhood’s oldest inhabitants: the school dates back to the 1820s, but the present location has been around for almost a century, and is regarded as a tranquil place for a stroll. Located on South Columbia Drive, this home is famous for its classical Southern architecture, and for its pedigree—built in 1868, it’s the oldest home in Decatur. You’ll notice these around the neighborhood: community gardens have taken root in Winnona Park, offering residents a chance to socialize while they cultivate their own crops. Looking to purchase a home in Winnona Park? Let our Atlanta real estate specialists work with you to navigate the process of buying or selling your house. Our Winnona Park real estate agents have expert knowledge on the distinct dynamics of the Winnona Park housing market. For further information about Winnona Park buyer or seller representation, contact The Keen Team. If you're preparing to sell your Atlanta residence, use our CMA page to uncover the resale value of your Winnona Park property instantly!